How do I View a Summary of my Annotations? To view a list of all annotations you have made on the one document, first click the download button. 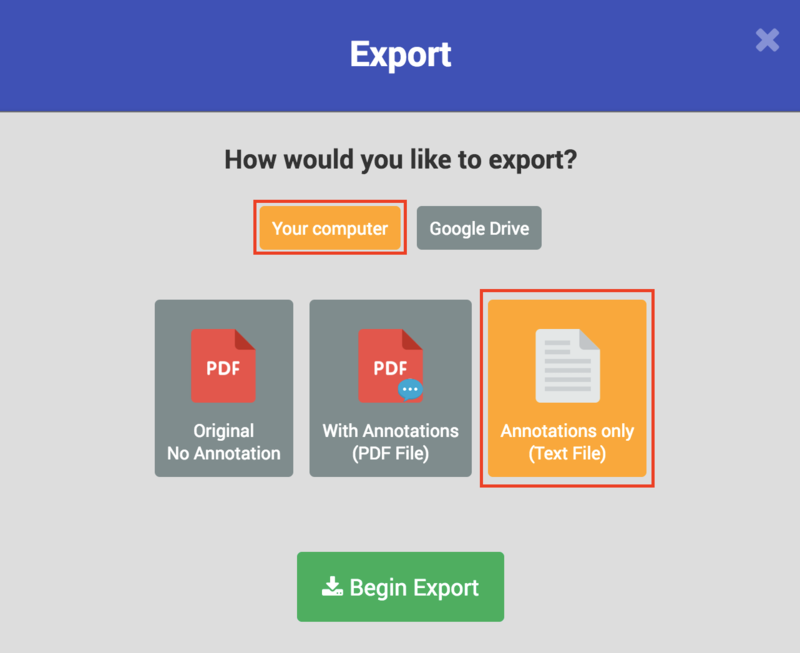 This will export your Annotations Text File to your locally stored downloads.